regions. In November 2008, TPL helped protect from development the nearly 650-acre Rancho Corral, one of the last undeveloped coastal canyons in Los Angeles County. 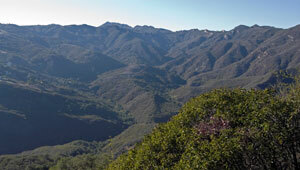 The addition to Malibu Creek State Park offers hiking and other recreation and makes possible a critical connection for a coastal slope trail.